Testimonials « Search One Abstracting, Inc.
COMMUNICATION: Everyone’s number one need – great communicators concerning timelines and issues important to our operation—we always know what is going on. RELIABILITY: When we make a request, we can rely on them to provide quality information. EFFICIENT: Requests for custom service unique to our firm’s specific and diverse needs has always been executed in the manner we need enabling us to be efficient . ACCESSIBILITY: We receive prompt responses to all inquiries as well as excellent follow-up – we rarely need to pick up the phone, because the responses to our email are so prompt. TURNAROUND: They deliver as quickly as possible – excellent turnaround times. EXPERIENCED: Their experienced staff is knowledgeable and therefore alert to insuring accurate information is supplied. SUCCESS: Their service allows us not only to successfully meet our deadline, but more importantly beat our deadlines! We have worked with and relied on Search One for years – there are many choices in the industry today – Search One is an unquestionable frontrunner. 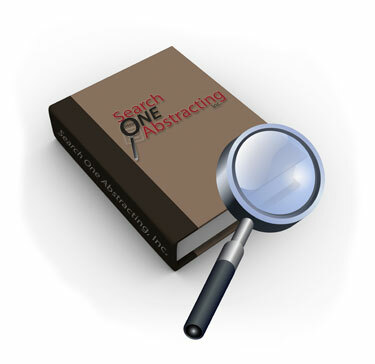 Search One Abstracting always provides timely, thorough, and accurate reports. If ever we have a question, there is always someone knowledgeable available to help and they always go above and beyond. Search One has been doing searches and providing tax information to us for years. Everyone at Search One is a pleasure to work with! I look forward to working with them for many years to come!